Jen has two great tutorials for painting Halloween goodie bags. One spooky and one sweet. Both of them are easy to create yourself and either of them would make a fun Halloween party favor. 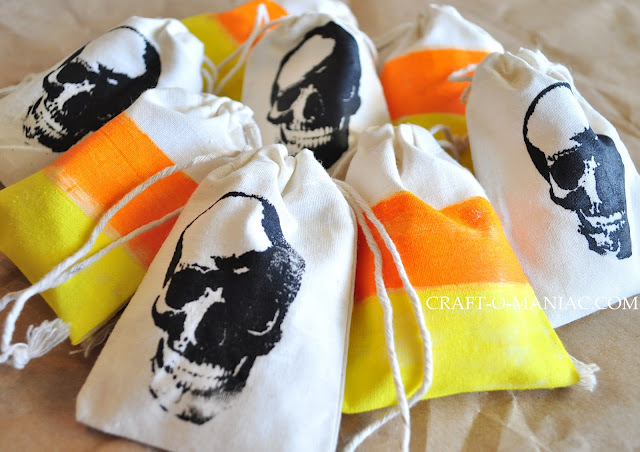 You can check out how to make these DIY Halloween treat bags over at Craft-O-Maniac.